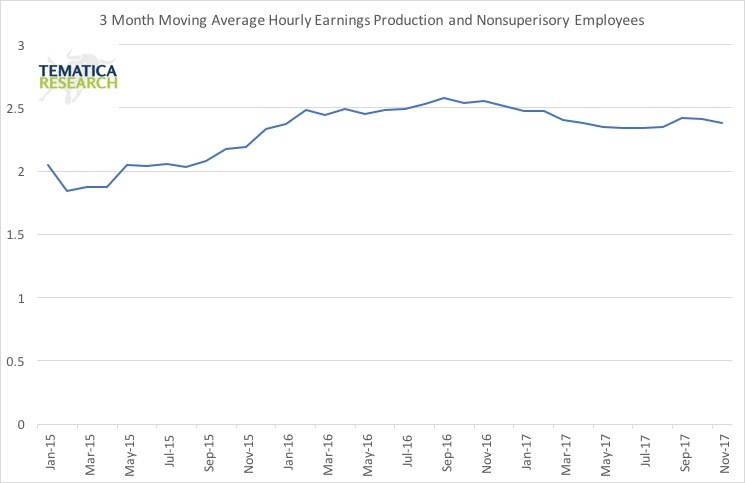 Today’s employment report gives us some insight into the direction in income levels as the 3-month moving average for hourly earnings for the 80% of the population included in the production and non-supervisory data shows that earnings continue to be on the decline, despite an unemployment rate that is the lowest we’ve seen since 2000. Taking a step back and looking at the bigger picture it is easy to see why so many in America feel the American Dream is no longer attainable. 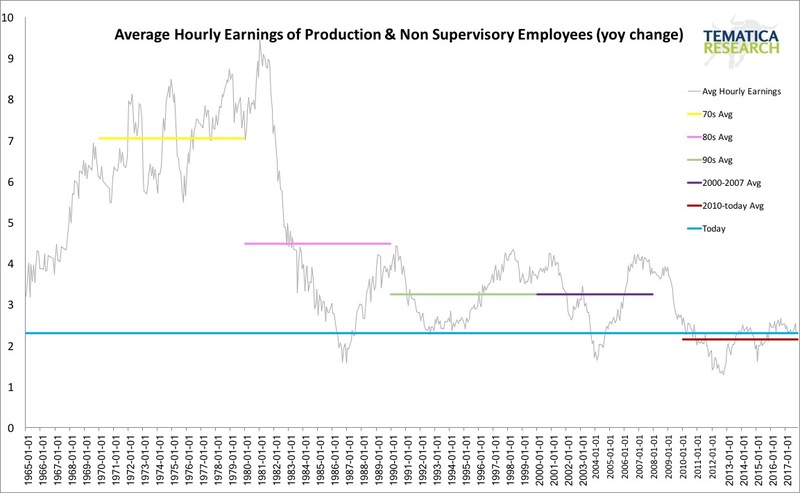 The year-over-year increase in average hourly earnings for the 80% of the workforce included in the production and non-supervisory category have declined from an average of 7.0% in the 1970s, to 4.5% in the 1980s, to 3.2% from 1990 to 2007 to 2.1% from 2010 to today. As for borrowing more to pay for purchases, Total Consumer Credit (excluding borrowings for real estate purchases) as a percent of Disposable Income has reached a new high. We’ve also seen Consumer Confidence back near multi-year highs. However, the savings rate has been falling and is near 10-year lows. Historically, when the spread between these two peaks, the year-over-year rate of growth in spending declines. The bottom line is the soft data, such as Consumer Confidence levels, are not what allows for increased spending. 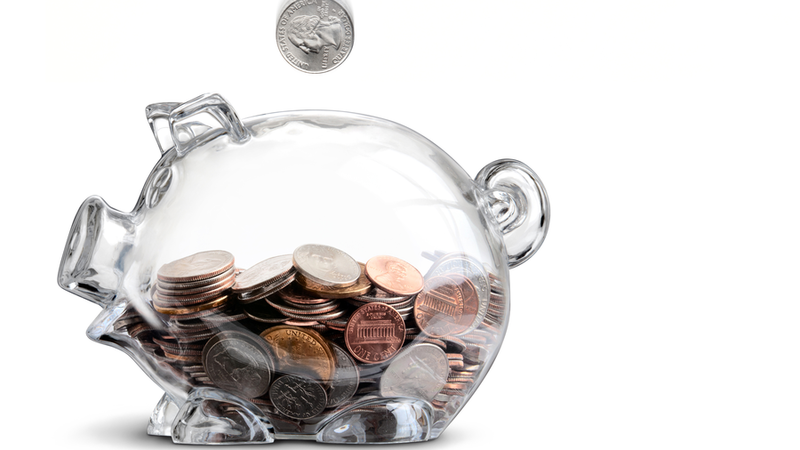 With revolving credit levels as a percent of disposable income reaching record levels and the trend in earnings on the decline, sustained increases in spending are simply not possible.